I take cues from life… though not all the time but this one makes it too obvious for me to ignore. I heard it not once but twice, in just a week’s time. I am Chinese but I didn’t know about this “joke” until this week. First, I read about it in an email I subscribe to. Next, I heard about it over radio accidentally. By a Taiwanese who is a US graduate talked about his experience during his university days. You see the US students have a different standard of excellence for, hmmm, Chinese (or Asian) students – at least unofficially. 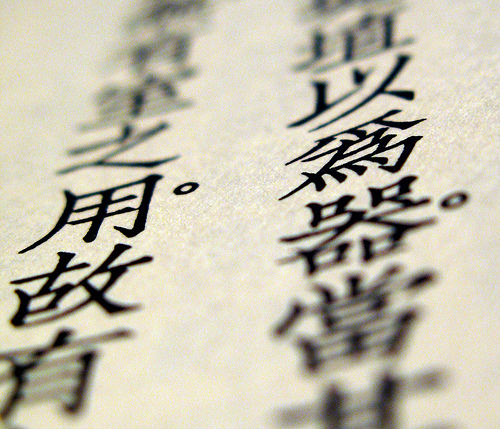 Academic excellence is the bread and butter for Chinese students. They are famous for wanting to score A’s. And they are only allowed to score A or A+. They demand high standard so badly that even A- is considered a failure. And A- is also regarded as the Chinese F.
Do you use the Chinese F ranking to gauge your child’s performance? Do you overly focus on academic excellence that you overlook other areas of life that are equally important? If you know me, I am not a big believer in making your child a top-scoring machine in school. And Chinese F is not something I can get along well with. While I am not against getting A’s in school but making it the ONLY thing in your child’s life is a big mistake any parent can make. And thinking that if your child gets good grades in school is equivalent to a bright future is just as a fatal misconception. Come on, don’t be so tight-assed about how many A’s your child scores. Hang loose and let your child enjoy life. Scoring A in school doesn’t mean scoring A in life – which for sure, the latter is more important. Of course, as you guessed it, the Chinese F doesn’t make it to the list.